Wood-fired salt glaze and hand-thrown porcelain tableware. These two ranges of work are quite different but both are intended for everyday use in the kitchen and home. 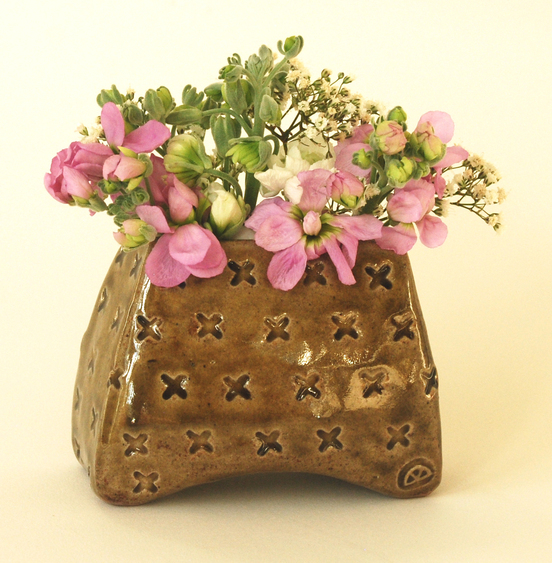 My wood-fired pots are thrown on the wheel or constructed from folded slabs of clay with stamp decoration. The joy and nature of wood-firing is that each firing is quite different, making the surface of each pot unique. The porcelain is all hand-thrown on the wheel. Soft white in colour, it gives the glaze a pure fresh look.